Ronan and Mark's music has a ubiquitous, international appeal that unites many subcultural streams. 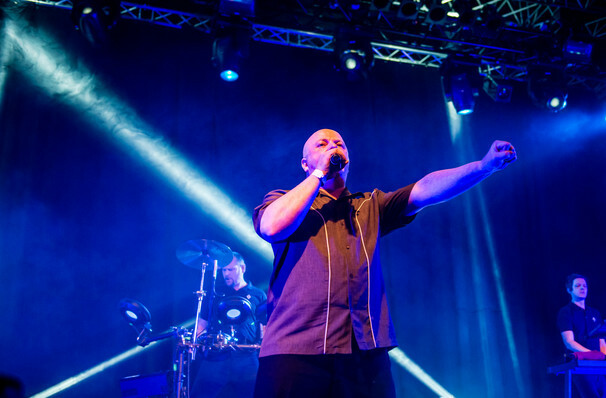 The brainchild of singer, songwriter and producer Ronan Harris, VNV Nation formed part of the 90as EDM wave in the UK. Fusing the heavy industrial sounds of his influences Nitzer Ebb and Front 252 with danceable synth hooks, orchestral music elements, poetic lyrics and indie electronica, Harris developed an ardent fan base across the dance floors of Europe and America thanks to the traction of critically praised debut album 'Advance and Follow' in 1995 and high energy live shows filled with positivity and uplifting moments. Over two decades later the band is back with their tenth studio album 'Noire', charting a mammoth North American tour in support. Harris and musical partner Mark Jackson are set to bring their hotly anticipated new material (it's been three years since their last release), as well as fan-favorites and rarities to the stage with their signature on-stage chemistry and genuine fan interaction. In between their upbeat numbers Harris brings a sense of fun to proceedings by telling stories and directly communicating the crowd, whilst more emotional moments and slower ballads are met with hushed revery. Seen VNV Nation? Loved it? Hated it? Sound good to you? 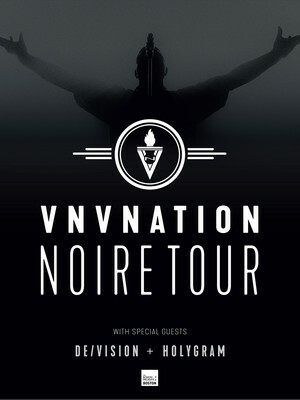 Share this page on social media and let your friends know about VNV Nation at Barracuda. Please note: The term Barracuda and/or VNV Nation as well as all associated graphics, logos, and/or other trademarks, tradenames or copyrights are the property of the Barracuda and/or VNV Nation and are used herein for factual descriptive purposes only. We are in no way associated with or authorized by the Barracuda and/or VNV Nation and neither that entity nor any of its affiliates have licensed or endorsed us to sell tickets, goods and or services in conjunction with their events.